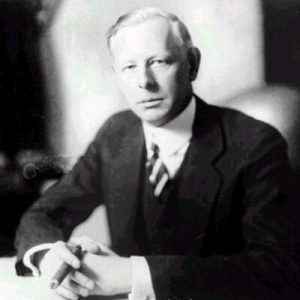 “Boy Wonder”, “Boy Plunger” and the “Great Bear of Wall St.” are a few of the monikers Jesse Livermore was known by. Livermore was immortalized in the trading classic Reminiscences of a Stock Operator by Edwin Lefevre — a book your author has read countless times over the years and still pulls new wisdom from with each revisit. Reminiscences has stood the test of time because it, more than any other book, explains the fundamental truths that lie at the heart of successful speculation. It’s no doubt a reflection of Livermore’s deep and intimate understanding of this great game. All of the important truths that a speculator needs to understand were plainly communicated by Livermore over 75 years ago. 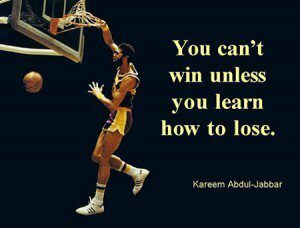 To be a great trader you have to be a great loser. Sounds like a contradiction right? Well it isn’t. The fact is, great traders will typically have more losing trades than profitable ones. They’ll spend more time in an equity drawdown than at new highs. Some of this is due to the natural 90/10 distributions of markets (Pareto’s Law), but much of it is actually by design. Mark Spitznagel wrote in The Dao of Capital that the most valuable lesson he learned from his Chicago trading pit mentor, Everett Klipp, was that “you’ve got to love to lose money.” If you love to take small losses then you’ll never take a large one. That’s important because it’s the large ones that’ll kill ya’. pocketbook and to the soul. And here’s a simple and yet KEY… KEY… fundamental truth to good trading: never add to your losers, sell what shows you a loss, and let run what shows you a profit. known to me that even now I marvel at myself for doing the reverse. Livermore learned the hard way that our natural instincts must be flipped. Instead of hoping he must fear and instead of fearing he must hope. He must fear that his loss may develop into a much bigger loss, and hope that his profit may become a big profit. study general conditions, to size them so as to be able to anticipate probabilities. Not many people realize this, but Livermore was the original “global macro” guy. His “greatest discovery” was the importance of macro — or what he called “general conditions”. This revelation completely changed the way he approached markets and trading. While everybody was piking around, losing money playing the “stock picking” game, Livermore was studying general conditions. He now understood the simple fundamental truth that you want to be long in a bull market and short in a bear market. the entire market and its trend. 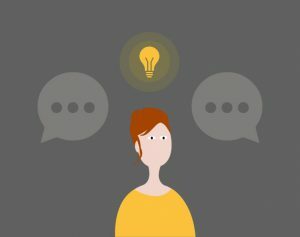 tips or special factors affecting individual stocks. It’s when Livermore started playing the macro game that he really started making the big money. does not have to marry one side of the market till death do them part. v But I can tell you after the market began to go my way I felt for the first time in my life that I had allies — the strongest and truest in the world: underlying conditions. They were helping me with all their might. Perhaps they were a trifle slow at times in bringing up the reserves, but they were dependable, provided I did not get too impatient. General conditions (macro) continue to be — BY FAR — the biggest potential source for alpha in trading. That’s because most market participants are still focused on the stock picking game and remain completely ignorant of the most significant driver of their stock’s price action. Learning to read the underlying conditions is like swinging the trading equivalent of Thor’s Hammer… it makes that much of a difference. 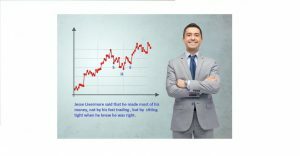 It sounds very easy to say that all you have to do is to watch the tape, establish your resistance points and be ready to trade along the line of least resistance as soon as you have determined it. But in actual practice a man has to guard against many things, and most of all against himself — that is, against human nature. 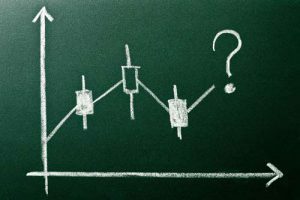 True professional speculation is often a tedious and boring affair, where one can go months without putting on a trade because the general conditions are not right. There is a time for all things, but I didn’t know it. And that is precisely what beats so many men in Wall Street who are very far from being in the main sucker class. Most traders that I see are not really in the game to make money by strictly following a sound trading process. They want quick profits; the thrill of gambling; high adrenaline entertainment. Basically the same lizard brain “wants” that drive the large profits for Vegas casinos. This is why most people overtrade. And they overtrade a lot. Here’s Livermore’s thoughts on why that’s bad. There is the plain fool, who does the wrong thing at all times everywhere, but there is the Wall Street fool, who thinks he must trade all the time. No man can always have adequate reasons for buying or selling stocks daily–or sufficient knowledge to make his play an intelligent play. 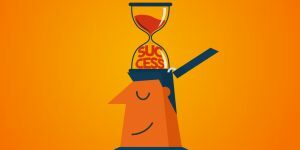 The overtrading by others brings us to another fundamental truth: that other’s impatience can be our profits if we’re willing to practice infinite patience. The desire for constant action irrespective of underlying conditions is responsible for many losses on Wall Street even among the professionals, who feel that they must take home some money every day, as though they were working for regular wages. Remember this: When you are doing nothing, those speculators who feel they must trade day in and day out, are laying the foundation for your next venture. You will reap benefits from their mistakes. Livermore was one of the best at reading the tape. His years of studying price action gave him a sort of “sixth sense” for knowing what the market was doing and where it was headed. This is one of those “practice” elements where only so much instruction can be given… the rest needs to be learned and experienced. For purposes of easy explanation we will say that prices, like everything else, move along the line of least resistance. They will do whatever comes easiest, therefore they will go up if there is less resistance to an advance than to a decline; and vice versa. The path of least resistance is all about understanding accumulation/distribution or consolidation/expansion zones. A chart is simply a two dimensional representation of supply/demand. The path of least resistance is the price level that supply/demand is likely to move towards based off past and current accumulation/distribution levels. A critical part to what he’s saying is to wait for the path of least resistance to present itself. Attempting to anticipate trend changes is a costly and foolish endeavor. One of the most helpful things that anybody can learn is to give up trying to catch the last eighth — or the first. These two are the most expensive eighths in the world. They have cost stock traders, in the aggregate, enough millions of dollars to build a concrete highway across the continent. The trend is your friend and there are separate trends on different time intervals. The more trends that line up on each interval, the lesser resistance on the trade’s path. making and losing millions of dollars I want to tell you this: It never was my thinking that made the big money for me. It was always my sitting. Got that? My sitting tight! v Men who can both be right and sit tight are uncommon. I found it one of the hardest things to learn. But it is only after a stock operator has firmly grasped this that he can make big money. 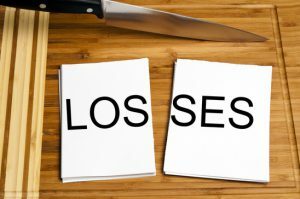 Ø Cut your losses: Never average down and never hope losses reverse. Just cut. Ø Infinite patience: Good trades are few and far between. Trade for profits, not for action. Ø Learn macro: Understanding general conditions is essential to being a market master and not a piker. Ø Price action is king: Learn to read the tape and don’t argue with markets — they know more than you. Ø Big bet/sit tight: Ride your winners for all their worth. This conviction comes with practice. 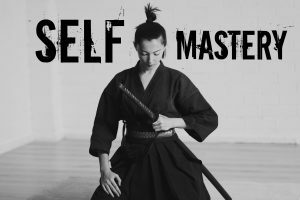 Ø Self-mastery: You are your greatest impediment to your own success. “Know thyself”.